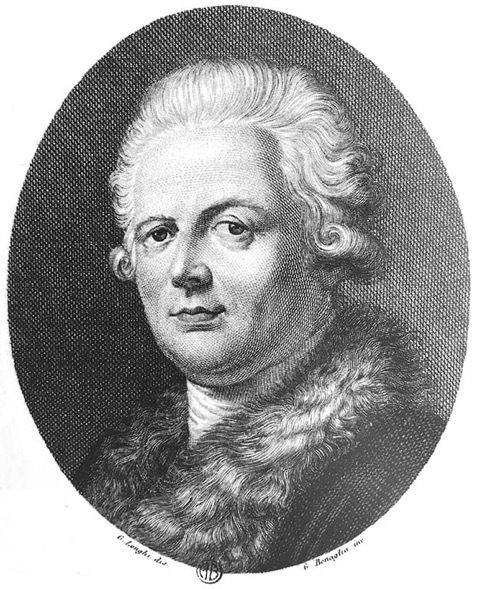 When, in October 1766, Alessandro Verri left Milan to go to Paris with Cesare Beccaria at the invitation of André Morellet (the translator of Beccaria’s On Crimes and Punishments) and of the encyclopédistes, he concluded an epistolary pact with his brother Pietro. Pietro, who was thirteen years Alessandro’s senior, remained in Lombardy and ensured the preservation of the correspondence by having the letters carefully and systematically copied into large in-folio registers. After his trip to Paris and London, Alessandro settled in Rome in 1767 and he continued his correspondence with his brother until Pietro’s death in 1797. The time span it covers and its candid take on private and public matters make it the richest correspondence in eighteenth-century Italy. It extends over three decades, from the age of Reforms in Lombardy under the rule of Maria Theresa to the eve of the proclamation of the Roman republic in 1798, and encompasses the French Revolution, the invasions of Piedmont and Lombardy by General Bonaparte, and the creation of the Cisalpine republic. At first, the brothers’ dialogue preserved the harmony that characterised the discussions held at the Accademia dei Pugni (the ‘Academy of Punches’), the learned society that they had founded in Milan in 1761, and which had been the incubator for two seminal works of the Lombard Enlightenment, namely Beccaria’s On Crimes and Punishments and the Caffè periodical (1764-1766). Yet, the brothers’ apparent convergence of views in the first months of their correspondence could hardly conceal the fact that they were growing apart intellectually. Alessandro’s letters, by contrast, show his individualistic conception of happiness and his wariness of any developments that might upset society’s order and stability (free thought, popular passions), as well as his conviction that attempting to create and shape public opinion was a dangerous endeavour. His refusal to envision a society made up of free individuals – and above all a secular society – alienated him from the spirit of modernity that was emerging at the end of the century. 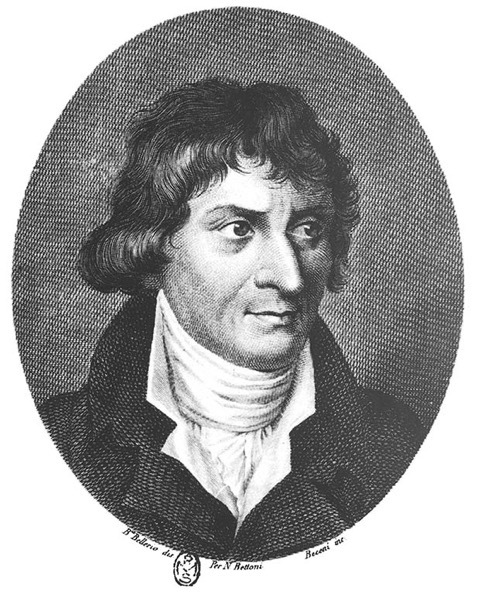 Alessandro Verri, by Pietro Beceni / Image Civica Raccolta delle Stampe Achille Bertarelli, Milan. Carteggio di Pietro e Alessandro Verri, 12 vol. (Milan, 1910-1942), vol.10 (1939), p. 237 (my translation). 17 April 1782; 10 April 1782. 20 April 1782; 4 May 1782; 22 May 1793. 1 March 1794; 29 march 1794. 25 August 1794; 15 December 1792. C. Beccaria, On Crimes and Punishments (Cambridge, 1995), p. 106-107. 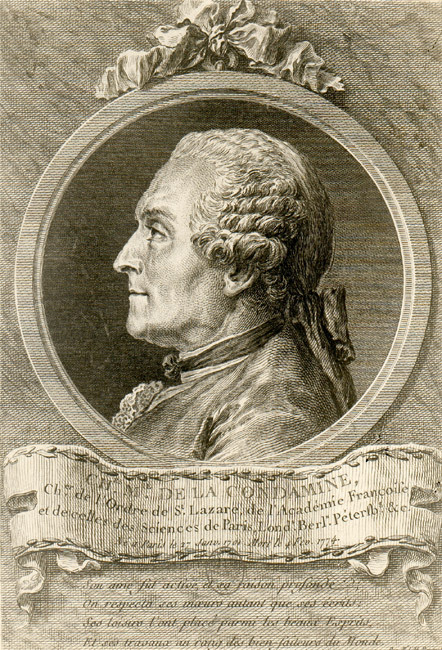 For his polemics against the Church, Voltaire had an arsenal of facts and arguments that he used repeatedly in a variety of contexts. De la paix perpétuelle (1769) presents in a concise and forceful manner materials on bloodshed and strife caused by religious intolerance that appear in La Philosophie de l’histoire, Traité sur la tolérance, Dictionnaire philosophique, L’Examen important de milord Bolingbroke, Des conspirations contre les peuples, Dieu et les hommes, and Histoire de l’établissement du christianisme. 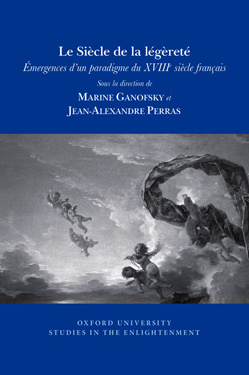 The work is framed by references to the ideas of Charles-Irénée Castel, abbé de Saint-Pierre, who, under the title Projet pour rendre la paix perpétuelle en Europe (1712), proposed a peace plan that is a precursor of the current European Union. This plan stipulates that a lasting peace could be achieved by a permanent alliance of the Christian states of Europe. All princes would forgo war as a means of settling differences. Any prince who engaged in armed hostilities would be banned from the union. If any member state was attacked, it would be defended by all the other member states. National boundaries would be preserved, and the political system of each state would be protected. Once the alliance was formed, a uniform economic policy would be developed. Turkey would be excluded from the confederacy. Voltaire rejected the abbé’s peace plan because he found it utopian and did not believe that lasting peace could be achieved by legal machinery alone without changing the attitudes that lead to war. He furthermore foresaw that peace in Europe could not be maintained without taking into account the rest of the world. In Rescrit de l’empereur de la Chine, the emperor is surprised that, in the plan to establish lasting peace, countries outside of Europe such as Turkey, Persia, and Japan have wrongly been left out of the confederacy. He supposes that if Turkey, which was specifically excluded from the abbé’s alliance, attacked Hungary the European equilibrium could be broken. Convinced that Chinese membership is an absolute necessity, he decides to build in the center of the earth a city where the plenipotentiaries of the universe would assemble and where the representatives of all the major religions would come together to be preached into agreement by Portuguese Jesuits. In De la paix perpétuelle, Voltaire celebrates the fact that war has become less cruel and religious persecutions less frequent, but he recapitulates a long series of atrocities caused by religious intolerance in the past. He emphasizes the fact that intolerance was brought to Rome by Christians. The most original part of the work is a debate between a Christian and a Jew moderated by a Roman senator before Marcus Aurelius. The Christian insists that Christianity is the only true religion and with naive confidence puts forth proofs based on the narrative of the Gospels. The senator invalidates with historical evidence the stories of the census and of the star that appeared upon the birth of Jesus. The Christian flaunts the genealogy of Jesus, the virgin birth, the Crucifixion, the Resurrection, the Old Testament prophecies, and the miracles. Bored by the Christian demonstration, Marcus Aurelius orders the Jew to compare the two religions and the relationship between them. In contrast with the arrogance and intolerance of the Christian, the Jew is respectful and pledges loyalty to the empire. 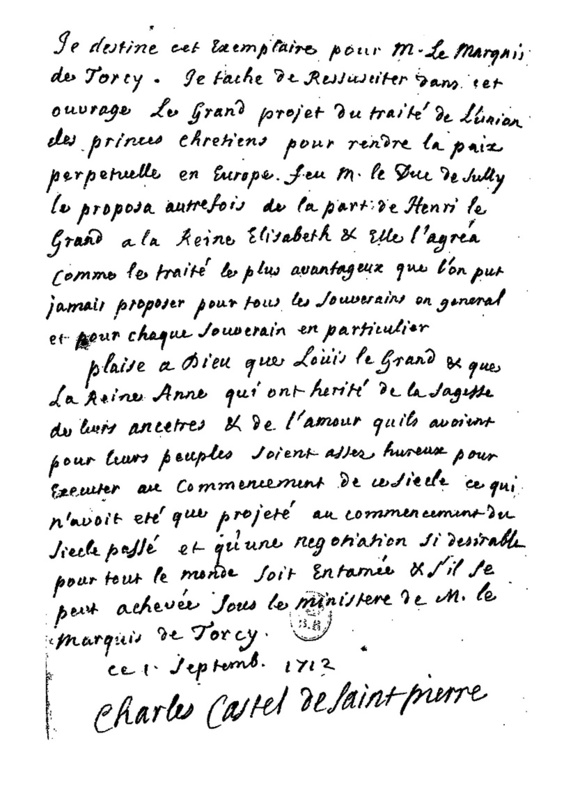 He impersonates the Jewish apologists praised by Voltaire in the ninth of the Lettres à S. A. Mgr le prince de ***, and his arguments reflect those presented in the letter. He counters the miracles of Jesus with the more grandiose splitting of the Red Sea by Moses and stopping of the sun by Joshua. His well-informed analysis of the Scriptures mirrors the arguments of Orobio de Castro and Isaac of Troki. He challenges the alleged prophecies Christians found in the Old Testament and in sibylline verses. He explains the meaning of the term ‘Messiah’, wrongly associated with Jesus, and interprets the Hebrew expression ‘Son of God’ to mean a virtuous man. He finds proof in the Gospels that Jesus was a Jew preaching the Jewish law and was punished not for wanting to change the law but for fomenting disorder and insulting the magistrates. He mocks the end-of-the-world prophecies. Marcus Aurelius judges that both are equally insane, but while the empire has nothing to fear from the Jew it has everything to fear from the Christian. The debate is followed by a summary of ecclesiastical history that traces the crimes of Christian emperors, bloodshed caused by controversies over absurd dogma, massacres, and persecutions. The narrative concludes with the belief that discord will end only through the elimination of divisive dogma and with the proclamation that tolerance has begun to spread through enlightenment. Voltaire rejected Saint-Pierre’s peace plan but fully agreed with his religious ideas. 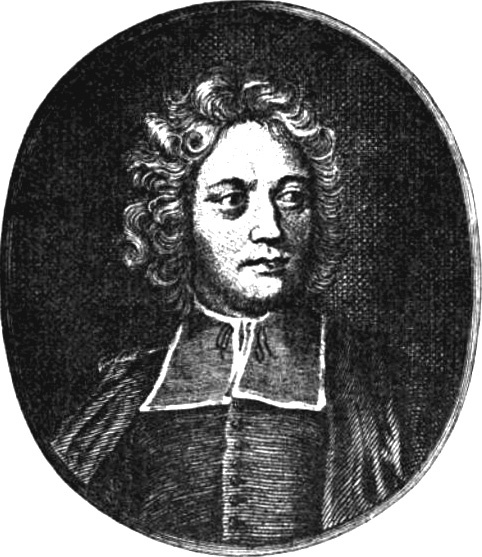 In the end, he joined the abbé by advocating the adoption of a universal religion that consists solely of the love of God and benevolence toward men. De la paix perpétuelle addresses problems and solutions that are still with us today.